Like the characters you’ll meet here, this one will keep you off balance and knock your socks off! Who is deceiving who? Whose version is the truth? 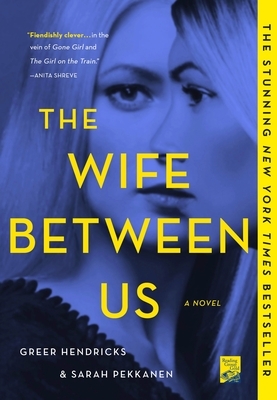 The Wife Between Us is a guaranteed bestseller everyone will be talking about. The women unfurl an intricate web here: wife, future wife and loyal sister. Betrayal, plotting and tension all conspire to deal with one complicated man. Settle in, because once you start, you’re not going anywhere!